Ensemble Alioni is a 9-member vocal ensemble founded in 2008 with the purpose of researching and sharing the ancient choral folk music traditions of the Republic of Georgia through performing and teaching. 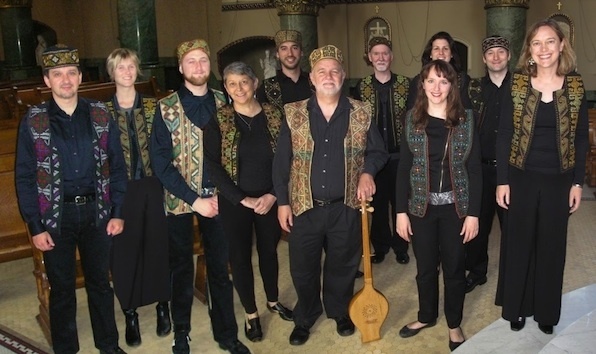 Ensemble Alioni has performed at the Chicago World Music Festival, the Evanston Ethnic Arts Festival, the Museum of Science and Industry's "Christmas Around the World" series, and for academic gatherings at DePaul University and the University of Chicago. Alioni periodically hosts music workshops and teaches Georgian songs, inspiring singers and helping to preserve these unique musical treasures. The global importance of Georgian music has been recognized by the United Nations. World List of Intangible Masterpieces of Humanity.